The sunny rock song is the brotherly duo’s first-ever single. 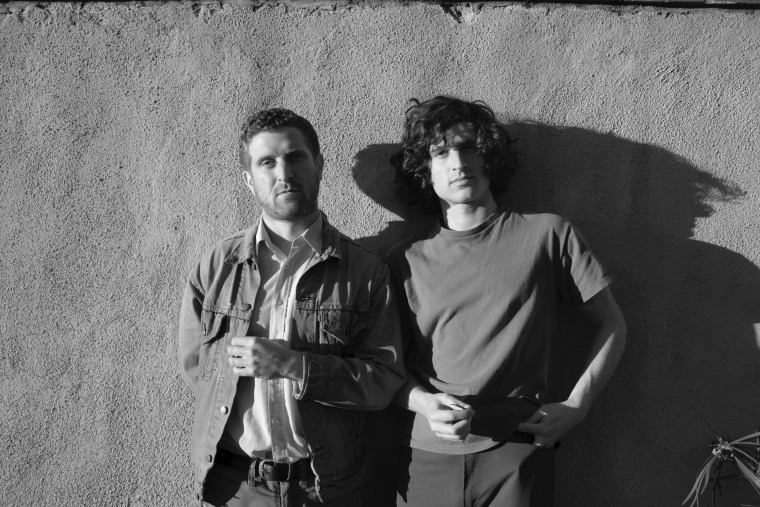 Brothers Jonathan and Michael Rosen have spent the past couple of years in Eleanor Friedberger's backing band, and now they're set to release their debut EP, Whatever You're Into, as folk-rock duo Cones, with Jonathan on vocals and guitar and Michael on keys. Their very first single is called "Echoes On," a golden dad rock song about life on the road. Jonathan, who moonlights as an animator (he's done his hand-drawn videos for Friedberger and Toro Y Moi, respectively), illustrated the song's sunny melody with simple and calming orange lines that flow without break. Jonathan told The FADER over email that "the animation is made up of over 2,500 hand drawn images. I wanted the images to morph the way that thoughts do, all the while returning back to the constant and unchanging road." "'Echoes On' is about driving with a restless mind," Jonathan continued. "I wrote the lyrics while driving from San Francisco to L.A., and the hypnosis of the road was the perfect state for me to work out some things that were sitting heavy on my mind, like the certainty of loss and the uncertainty of the future."